In Part 1 and Part 2, we have been working to pull together insights in modern economics from Paul Dumouchel's The Ambivalence of Scarcity with Jesus' exposition of the law in Matthew 5. In this final installment we arrive at Dumouchel's thesis of the modern economic concept of scarcity as a new form of sacred violence and conclude with questions about the fulfillment of solidarity as God's project to transform our economics -- and the call of discipleship to join that project through political engagement. What if we read Matthew 5 in terms of a specific kind of 'law,' namely, solidarity obligations? The Beatitudes begin by striking the clear note of God's solidarity with the least in human community (5:1-12). We are salt and light when follow God's lead (5:13-16). But here's the fulfillment that Jesus comes to bring (5:17-20): such solidarity is no longer to be based on the mechanisms of sacred violence but on the perfect love of God come into the world through Jesus. The antitheses of Matthew 5:21-48 outline how love fulfills the law of solidarity such that amazing things can happen: anger can be defused, accused and accuser can be reconciled, lust can be dissipated, revenge short-circuited, and -- the unthinkable -- solidarity even with one's enemies. We can live that perfect love of God in ways that begin to fulfill God's true intent for the law -- solidarity of God's household, the family of creation. "Economics": from the Greek oikos and nomos, "household law." In ancient times, that law was experienced through solidarity obligations that placed the emphasis on making sure the least in the household had their needs met. No one was in danger of dying of hunger unless everyone was. But the cost was having those obligations founded in sacred violence. When a situation arose that modern people call "extreme scarcity," a situation of everyone going hungry, it was the return of community-dissolving violence that was experienced, not "scarcity." On what, then, is our modern economics grounded in? Not solidarity obligations. The effect of the Christian Revelation has been to loosen the underpinnings of sacred violence from such obligations, so that solidarity is an individual choice made within a system whose main protection is precisely for the individual (which Dumouchel calls the "law of exteriority"(1)). Modern individualism thus allows persons to choose against solidarity with the least, and hence, ultimately, against the common good of the community. 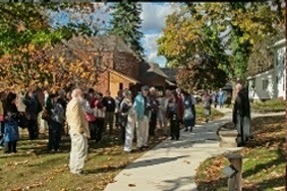 The gist of the opening quote from Dumouchel is that modernity follows the path of the Christian Revelation into a relaxing of many obligations held in former human political arrangements, but rejects the fulfillment of the most important of those obligations, solidarity with the least, that is central to the Christian Revelation. We may thus propose that modernity has meant the rejection of God's Economics in light of Jesus' clear mission of launching "God's Kingdom." That the fulfillment of solidarity of all God's household is the coming of "God's Household Law" is decidedly not what we have with modern economics, where solidarity with the least is, at best, a sometimes-applauded individual choice. (With the philosophy of folks like Ayn Rand, solidarity with the least is even derided as a Christian vice that works against the virtues of the wealthy capitalist. (2)) At worst, Dumouchel effectively argues that the concept of scarcity in modern economics serves the same role of sacred violence -- that of justifying an allowable violence in the name of keeping other kinds of violence at bay. But the allowable violence justified by scarcity is quite different and uniquely modern: the violence of indifference to those who cannot survive without the help of others. Modern followers of Christ may recognize this indifference as violence. Spurred on by the best of our leaders and writers -- Charles Dickens' famous example, for instance, of the transformation of Ebenezer Scrooge in A Christmas Carol -- individual disciples may find their indifference transformed into a compassionate solidarity with the poor, through at least the individual choice of charity to those in need. But here are the central questions posed by this essay: Can charity alone -- an individual's choice to reach out to the poor -- achieve Jesus' promised fulfillment of the law as solidarity of God's household? Or within the modern "law of exteriority" (the 'sacredness' of individualism) is charity only a partial fulfillment? Does the persistence, and even worsening, of poverty in our world confirm charity as only partial? In short: does the fulfillment of solidarity with the least in God's household ultimately mean a transformation of our human economical relationships? What would happen if the modern economic justification of indifference by the concept of scarcity was replaced by giving priority to valuing solidarity, based on a growing awareness of abundance? Bottom line: Does Jesus' promise that disciples may exceed the justice of the Pharisees mean that disciples are called to go beyond charity to political engagement? Are disciples of Jesus called to advocate for 'household laws' that more truly work for the common good of all? 1. Paul Dumouchel, The Ambivalence of Scarcity and Other Essays [MSU Press, 2014], 41-44. In previous human political arrangements, individuals viewed themselves as related internal to their group, with binding solidarity obligations. In the modern age of Western culture, with solidarity obligations weakened or relaxed, our relationships within any groups to which we belong are easily abandoned if they are felt to impinge on our freedom as individuals. Each person, when push comes to shove, sees him/herself as externally related to all others. Dumouchel's "law of exteriority" is "simply the pure evolution of modern individualism, the gradual externalization and alienation of members of society" (44) -- with the result that, "The exteriority of members of society transforms all individuals into potential sacrificial victims" (50). In short, we have the modern 'truth' that each person is only one personal disaster away from homelessness, with no one else bearing any obligation to help them. 2. Stephen Prothero, religion professor at Boston University, wrote this column, "You can't reconcile Ayn Rand and Jesus." For a similar viewpoint, but friendlier to Rand, see Yaholo Hoyt, "Ayn Rand vs. Jesus Christ: FIGHT!" But at a pivotal point of this latter essay, Hoyt proposes, "I think it is important to point out that Jesus made no direct claim that what he was asking us to do was better for society. In fact, the positive consequences of Christ's teachings are admittedly not fully provided in this life at all but 'in heaven.'" My viewpoint in this blog is that Jesus is making a direct claim for a better society -- a fulfilled creation, no less. The promise of God's law of the household being fulfilled is not only for 'in heaven' but for, as we pray, "on earth as in heaven." In Part 1, we began reflections weaving together Matthew 5 with Paul Dumouchel's insights into understanding the shortcomings of modern economics in The Ambivalence of Scarcity and Other Essays. For openers, he challenges that scarcity as a human experience is based on the quantity of goods available. We looked first at the situation of an abundance of goods that is nonetheless experienced as a scarcity. Next . . .
What happens if everyone is dying of hunger? Don't they experience scarcity? Not really. At that point they experience violence and the threat of a complete breakdown of the community, a situation that tends toward everyone-against-everyone. What's crucial to see here is that even the "solidarity obligations" were dependent on the archaic experience of sacred violence, and the punishing gods who prop up the entire system. Solidarity obligations, which compel the richest to take care of the poorest, are certainly a good thing. But their underside was in being compelled to comply under the shadow of sacred violence. It's time to return to our opening quotes. What if we read Matthew 5 in terms of a specific kind of 'law,' namely, solidarity obligations? The Beatitudes begin by striking the clear note of God's solidarity with the least in human community (5:1-12). We are salt and light when follow God's lead (5:13-16). But here's the fulfillment that Jesus comes to bring (5:17-20): such solidarity is no longer to be based on the mechanisms of sacred violence but on the perfect love of God come into the world through Jesus. The antitheses of Matthew 5:21-48 outline how love fulfills the law of solidarity such that amazing things can happen: anger can be defused, accused and accuser can be reconciled, lust can be dissipated, revenge short-circuited, and -- the unthinkable -- solidarity even with one's enemies. We can live that perfect love of God in ways that begin to fulfill God's true intent for the law -- solidarity of God's household, the family of creation. In Part 3, we will conclude by considering Dumouchel's basic contention that modern economics replaces solidarity obligations with a concept of scarcity that justifies a new form of sacred violence -- that of indifference to the poor. So we close with questions around whether modern day discipleship can fully participate in Jesus' promised fulfillment of the law without going beyond charity into political engagement in economics. 1. M. Sahlins, Stone Age Economics (Chicago: Aldine, 1972). 2. Paul Dumouchel, The Ambivalence of Scarcity and Other Essays [MSU Press, 2014], 18. 3. Ibid., 19, quoting K. Polanyi, The Great Transformation (Boston: Beacon Press, 1944), 46-47. Jesus said, "Do not think that I have come to abolish the law or the prophets; I have come not to abolish but to fulfill. 18For truly I tell you, until heaven and earth pass away, not one letter, not one stroke of a letter, will pass from the law until all is accomplished. 19Therefore, whoever breaks one of the least of these commandments, and teaches others to do the same, will be called least in the kingdom of heaven; but whoever does them and teaches them will be called great in the kingdom of heaven. 20For I tell you, unless your justice exceeds that of the scribes and Pharisees, you will never enter the kingdom of heaven. (1)"
Given that the historical effect of Christianity is to progressively ruin the sacrificial system and that scarcity spontaneously emerges as traditional bonds of solidarity are abandoned, then we should expect this system to arise in a region where Christianity has long weakened these bonds. Why it emerged precisely where and when it did, as well as the role of the state in this process, is a question too complex to even begin to answer in the present context. Nonetheless, what mimetic theory gives us is a means for understanding the radical novelty of modern market economies and a reason for their "unnaturalness." Their historical specificity is related to the unique breakdown of the sacrificial system caused by Christian Revelation. It is also linked to rejection of that Revelation. Scarcity is what we live in, which is neither the sacred nor the Kingdom of God. Taken together these two quotes can be seen to suggest that scarcity as a fundamental modern economic concept has arisen because we moderns reject Jesus' revelation of the fulfillment of the law. The justice of our modern economies fails to exceed the justice of the Pharisees (political leaders of Jesus' day) -- even though a majority of economic agents in the West throughout the modern era have claimed to be followers of Jesus. Dumouchel's analysis of scarcity in the light of Renè Girard's Mimetic Theory can help us to understand that failure. That scarcity is a human experience not based on the quantity of goods available can even be seen in the circumstances of lacking necessary goods, if one knows when and where to look. In Part 2, we will once again take Dumouchel as a guide to when and where to look to see how scarcity as a human experience is not based on a lacking of necessary goods, before rejoining these reflections to Matthew 5. 1. It is a mistake to read "kingdom of heaven" as meaning a realm separate from earth, as a hope somehow contrary to what our Lord teaches disciples to pray, 'your kingdom come ... on earth as in heaven.' For more on this, see my webpage on Matthew 5:1-12. 2. NRSV translation modified by author for only one word: "justice" in place of "righteousness" in verse 20 (Gr: dikaiosynē). 3. Paul Dumouchel, The Ambivalence of Scarcity and Other Essays [MSU Press, 2014], 105-6. 4. Dumouchel call this the aporia of scarcity -- that, "Scarcity corresponds to no real quantity" (ibid., 12). This is because mimetic desire induces a circular causality between production and needs: "higher levels of production lead to increased needs, and increased needs require even higher levels of production" (ibid., 11). Obviously, this is a recipe for unsustainability: "The ambivalence of scarcity dissimulates the eternal vanity of growth that has now led humanity down a suicidal path with respect to its natural environment" (ibid., 12). 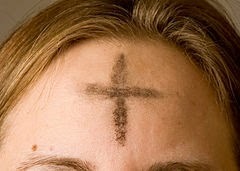 Yesterday was Ash Wednesday and I posted another meditation on the observance on my blog called Renouncing Self-Centered Renunciation. 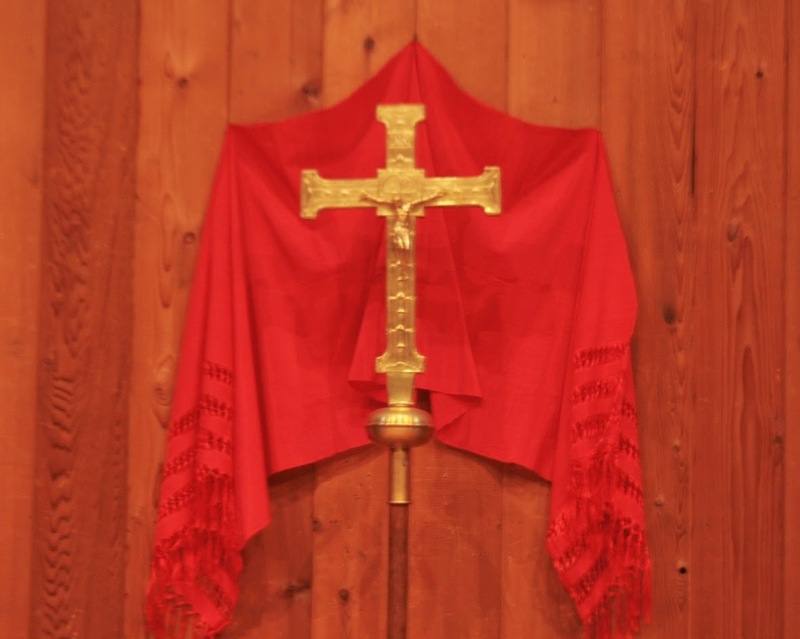 I have made three posts on an anthropological approach to liturgy called Liturgical Animals. From the first installment, you should be able to follow the links to the second and third. I have been reflecting quite a lot about economics and questions of economic justice. I have two posts on the subject called Mimetic Scarcity. This includes comments on Paul Dumouchel's book The Ambivalence of Scarcity and Other Essays which I have also reviewed. I also have posted a review on David Harvey's The Enigma of Capital and the Crises of Capitalism. In Exile with Jesus offers a Christmas Season meditation about a baby who didn't have a place to lay his head. The Tree of Salvation is a review of a book on Norse mythology and its transformation into Christianity which gives a Girardian reading of Nordic myth. Above the Circle of the Earth is a sermon late in Epiphany which looks at the breakthrough in Second Isaiah in understanding creation in contradistinction to Babylonian myth. 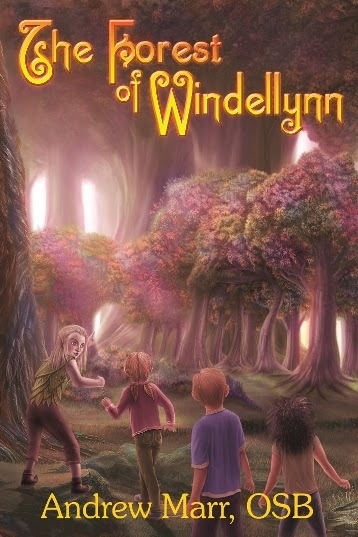 Late in December I published a fantasy novella called The Forest of Windellynn that is aimed at young readers (ca. 9-12) but I hope is interesting for older readers as well. The plot is based on legends of elf abduction of children and Gwion, the young protagonist, has to rescue two friends and his sister from the elves. When Gwion encounters the persecutory culture of the elves, he eventually realizes how persecutory his own social life has been as he learns what it means to have a soul. I am hoping that this book might be helpful for young and older readers in understanding some of Girard's insights as well as being an enjoyable read. For those of you coming to the 2015 Theology and Peace conference, I will be bringing a few copies in case anybody is interested. As you can see from my blog page about the book, electronic copies are available in various formats. Is Church a Four-Letter-Word with Six Letters in it? Much of my thinking the past several weeks has been about Church---whatever that is. Since Girard's thought indicates that we have to live together whether we like it or not, the problem of Church just won't go away. I have completed a five-part series called Christian Community. If you follow this first link, you can follow links at the end of each portion to move on to the next one. The sermons I have had occasion to preach over this time are all relevant to my thoughts on ecclesiology. King's Banquet--God's Banquet re: the Parable of the Wedding Banquet & the Guest without the wedding garment brings in more thoughts on the relationship between Church & Empire. For All Saints, I preached Celebrating the Saints in our Lives. This is more celebratory, but I still can't overlook the fact that some saints have been martyred by their own church. Then for the Gospel Parable of the Wise and Foolish Maidens: On Gathering with Those who Keep Oil in their Lamps. It is an interesting indication of the work of the Paraclete that many of us feel at least some sympathy for the foolish maidens, even though they are--well--foolish. Maybe it's because we are starting to see more of our own foolishness and need for the oil of God's mercy. With my interest in fantasy literature, especially for young readers, I commented on two series that have just come to a conclusion, namely the Percy Jackson set about Greek and Roman demigods & The Unwind Dystology by Neal Schusterman:On Healing the Gods and the Social Body. I especially urge you to pay attention to Neal Schusterman as he shows some of the keenest insights into mimetic issues among writers catering to youth & the young of heart. While on the subject of fantasy literature, I didn't expect much of the small trilogy The Cloak Society but I was pleasantly surprised by the character development & mimetic issues involved. Basically it is about a boy raised in a secret society of super-villains who, on his first job of helping with a bank hoist discovers he has a conscience. This link takes you to what I said about the first volume. You can look of the other two on GoodReads if you want to read those short reviews as well. And then there is music. Is Girard relevant to music? Well, yes. I read "Absolute Music: the History of an Idea" because of my interest in music & found some Girardian themes you can read about in Rivalry over Pure Music. Forgiveness issues have taken up pretty much all of my blog posts in the past few weeks. The Gospel texts from Matthew that have come up in the lectionary during this time has added to this. To give the order in Matthew's Gospel for my two postings which is the reverse of when I posted them: Binding and Loosing deals with the process of admonitions and Jesus' words about binding and loosing; The Sin Against the Holy Spirit deals with the Parable of the Unforgiving Servant. I have done a series with three parts on The Process of Forgiveness. I have given the link to the first post which will lead to the others. Yesterday, I posted a review of an important book U.S. War-Culture, Sacrifice and Salvation by Kelly Denton-Borhaug and discussed her critiques of Girard and Mark Heim. The post is American War Sacrifice. In the past few weeks I have been exploring the alleged eschatological violence in Matthew's Gospel. My reviews of A Peaceable Hope by David J. Neville and The Nonviolent Messiah by Joseph J. Simon. I have just read an even more helpful book called The Banished Messiah by Robert R. Beck. I will try to review it soon & a link to it should appear in the Theology & Peace Facebook page. My sermon on the Parable of the Wheat and the Weeds Jesus the Rejected Cornerstone among the Weeds also speaks to this concern. I have also been exploring the Difficulties in Forgiving with the first post discussing Jacob and Esau and Joseph and His Brothers.I am planning to do some more posts on the delicate issue of forgiveness so stay tuned. For our celebration of St. Benedict's Day this year, I preached a sermon St. Benedict: a Personal Sketch which outlines what we can glean of Benedict 's character and personality from the Rule. I also reviewed James Carroll's stimulating book Jerusalem Jerusalem which provides us with a Girardian analysis of the history of Jerusalem in history and more important and fatefully, in the human imagination. Finally, for now, I have completed a series on the traditional Five Kinds of Prayer. I discuss these kinds of prayer in the light of mimetic theory, looking at how an awareness of mimetic desire and deepen our understanding of prayer. This link to the first article on petitionary prayer. If you want to go straight to the blog's homepage. click here.